The Films in My Life - a personal journal of cinema: Happy Birthday, Luise Rainer! Today, Luise Rainer turns 101 years old! She's best known for her roles in The Good Earth and The Great Ziegfeld, and for being the oldest living recipient of a competitive Oscar. But to me, she's the star of Dramatic School. The movie is about a young drama student with a hyper-active imagination who works nights at a factory to pay for school. Her exaggerated stories and constant dreaming cause a series of events that make for a beautiful movie. It's like a modern (well, 1930's modern) fairy tale for dreamers .. very melodious and sweet, and perfectly lovely. It's definitely not for everyone, but I count it in my top 50 movies. Luise Rainer has a very poetic way of acting and it suits this character so perfectly, it's almost a tragedy that the movie doesn't have a better reputation. But if you're an imaginative person who loves characters who have their heads in the clouds, you need to check this out! It's actually available to view in full on stagevu.com -- the whole thing in one file, not split up into numerous parts like on youtube-- and it'll also be playing on TCM at 4:30am EST. If you have TCM, you'll want to tune in earlier - at 8pm- for an exclusive interview with Luise Rainer from last year's TCM Classic Film Festival! I, for one, will have the popcorn popping and the dvd recorder powering on at 7:55pm! I do not want to miss this! Sounds neat, thanks for sharing the movie and your love for Luise! I can't wait to watch her tribute on TCM tomorrow! Happy Birthday to Miss Rainer. She so graciously sent me autographs after I sent her birthday congratulations to commemorate her centenary. I will most definitely be watching TCM tonight! Congrats for the wonderful artwork! 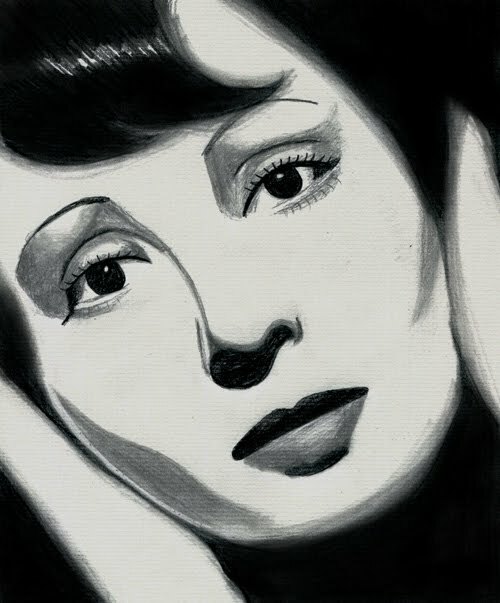 Long life to the great Luise Rainer! I've never seen a Luise Rainer film, believe it or not. Dramatic School sounds like a film I would like, though, since I think I guess I would consider myself "an imaginative person who loves characters who have their heads in the clouds". :D Do you know if StageVu a safe site to download it off? I've never heard of it and just want to make sure I don't get any viruses or anything. Oh, okay. Great. Thank you!